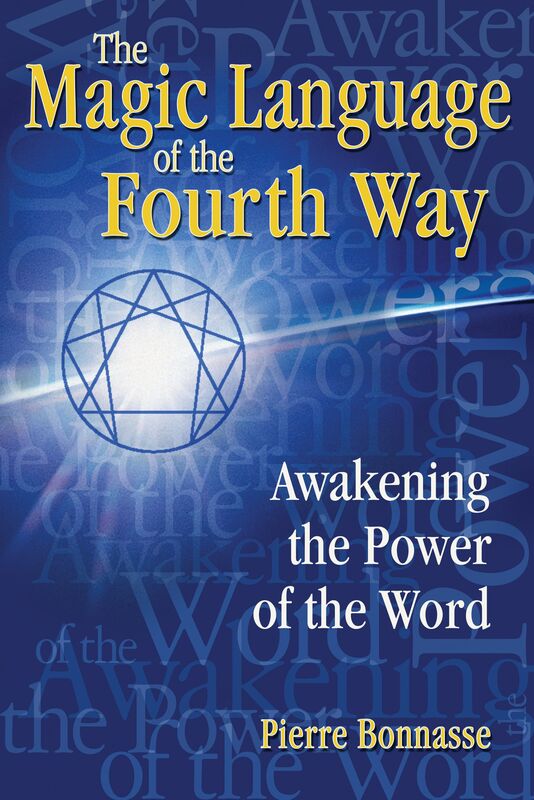 In The Magic Language of the Fourth Way, Pierre Bonnasse applies the esoteric teachings of Fourth Way mystic G. I. Gurdjieff and the insights of initiate René Daumal to show how to fully and properly activate the power of language. Bonnasse shows how words can regain the strange magical powers they possessed in the first days of humanity, when words created the realities of what they described. This is a far cry from today’s world in which even writers lament the impotent nature of language. Bonnasse uses the relationship between the Gurdjieff enneagram and sacred geometry and harmonics to reveal the power given to words by the notes of the scale. He shows not only how to discover the objective power of words but also how to apply the relationship between language and living to maximum effect. He explains that the objective power of language--and art and music--lies in the ability to use symbols that will mean precisely the same thing to anyone. The Magic Language of the Fourth Way serves as a clear and generous introduction to the complexities of Gurdjieffian thought as well as a descriptive how-to manual for Fourth Way aspirants on the uses of objective language for spiritual advancement. People confuse knowledge with understanding--which not only “depends on the relation of knowledge to being” but also “grows only with the growth of being.” To accumulate knowledge does not mean one is accumulating understanding. This is explained by the notion of centers. Knowledge depends only on the intellectual center, while understanding requires the action of the three centers of which we are composed: the physical (carnal) center, the emotional center (feelings), and the psychic center (intellectual, center of thought). “Thus,” Gurdjieff tells us, “the thinking apparatus may know something. But understanding appears only when a man feels and senses what is connected with it.” This is what distinguishes theory from practice, knowledge from doing. A man’s knowing the biggest dictionary by heart does not mean he understands anything, though his lexical knowledge may be immense; without that perfect adequation with the real, all his understanding will remain nil, and his knowledge useless. The act of speaking, which is movement, is a capacity of the motor center, functioning under the impulse of the psychic center (in cases where speech is a materialized thought); or under the impulsion of the emotional center, in the case of a cry arising from fear or words arising from effusions of sentiment; or under an impulse from another center belonging to an inferior level: a cry of joy from the sexual center, a cry of pain from a physical shock that passes through the mental center. In the case that interests us here, namely oral or written language, nothing is possible without the motor center (the mouth for speech, the hand for writing), directed by thought--because every word has its origin in the intellectual center. But someone who identifies himself with his negative emotions cannot stop himself from expressing them: not only does he create useless suffering, but he speaks it, he projects it, wasting more and more energy in a babbling that is nothing but falsehood. The apprentice-speaker struggles against exterior influences, not simply to stave them off in order to enjoy inner peace, but to transform them into a positive energy that will serve his speech, ultimately drawn from silence. In order to do, speak, or say effectively, one must be, and being requires learning this “special language” inherent to all true evolution. In parallel, one works on the harmony of the lower centers in order to access the powers of the higher centers. Thus, for example, the speaker who attains a sufficient degree of development knows that he must use the intellectual part of his emotional center in order to truly stimulate his artistic creation. Certain writers/“speakers” know and master these faculties. They are able to write “books of power” acting upon all the centers of the being, capable of overturning the entire lives of their readers. These are, in a way, magic books, “pocket masters” that dispense a teaching and imprint a salvational message on the heart of every reader, aiding in self-realization. Certain “oral” poets know how to make the poem leap up from the page, striking the eardrums of their automaton spectators with hammer blows from their vocal cords. They make us waver between the dark and light sides of Speech, simply by enveloping the audience with their voices, hypnotizing them with their gestures, imprinting a real message on their presence. These poets signal the death of the “idea word,” the “descriptive word,” to reactivate the archaic powers of “magic words,” participating in the recovery of the “proper use of the spoken word” as a source of salvation. But how can language--and therefore literature and poetry--as isolated phenomena--evolve in their turn? How can one find the proper use of the spoken word? The answer lies in a profound understanding of the fundamental laws of the Universe, beginning with the law of Three, or Triamazikamno. But in order to really understand what is truly happening, the understanding must not be solely intellectual but also emotional and corporeal. Only a “being-understanding” (embracing all the centers of the being), in harmony with the lines of knowledge and being, can lead to the recovery of the lost powers of speech. Pierre Bonnasse, also known as Chitragupta, has studied under the guidance of different spiritual masters for more than 20 years. The author of more than 20 books, he cofounded the Rishi Yoga Shala School, offering yoga training programs in India and in France. He lives in both France and Rishikesh, India. "The Magic Language of the Fourth Way is a long, very deep and thoughtful piece of writing, full of words which are meant to show us how to discard words. It is directed toward that segment of the human population that, according to Gurdjieff (and other great teachers), is small and sincerely dedicated to finding a higher path." "Being a longtime reader of George Gurdjieff and the 'Fourth Way' knowledge, I found The Magic Language of the Fourth Way to be a powerful step into the world of language and music for anyone seeking spiritual advancement through exact and precise knowledge. . . . If you want to go deep into the science of consciousness and reality you will want to read and study this book." " . . . the insights are so pivotal that the reader is left to wonder why the points did not occur to him, or to her, before Bonnasse gave them expression. This is language itself at work in the spirit of man." " . . . includes copious diagrams and end reference notes which will thrill the avid investigator. It aligns thought with music, which is utterly mind-blowing and it explains Gurdjieff's magnificent spiritual contribution to humanity in a very different way. This book is highly recommended for the serious student of modern spiritual thought."